According to a report from the Times of India, Microsoft is planning on bringing Surface devices to India.Vineet Durani, Director - Windows Business Group at Microsoft (India), informed that the company is looking at bringing the Surface devices to India, after receiving feedback from its current and potential customers. However, he refused to comment about the imminent launch of 2-in-1 devices. In the past, Microsoft has categorically stated that it is the price sensitive nature of the Indian market, the reason why the company did not launch the Surface devices and i personally agree! It's worth pointing out that the 12-inch tablet was sold without a keyboard cover for which users needed to spend $130 extra. The first-generation Surface was launched in October 2012, and Surface 2 and Surface Pro 2 were unveiled in October 2013. None of the models were released in India. 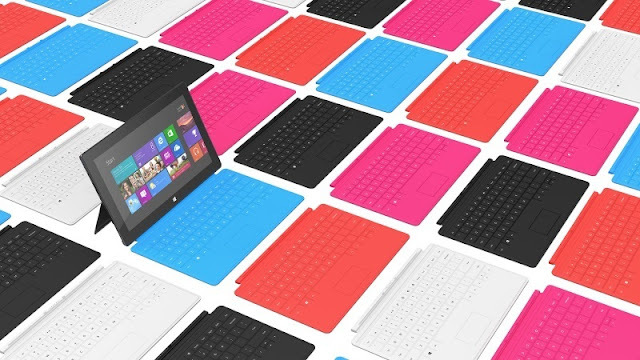 It would be interesting to see if Microsoft will position the Surface to compete with devices like Micromax, iBall, Notion Ink and high-end tablets like the Apple iPad Air 2 or keep it as a high-end niche device.